With Betty you can bake perfect cakes every time. 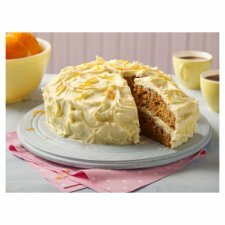 This moist, spiced and delicious carrot cake is quick to make and utterly moreish. Grab your apron and mixing bowl and fire up your oven to 180°C (160°C for fan assisted ovens)/Gas Mark 4. For cupcakes bake in a fan assisted oven at 160°C. Let's get baking! 1 Mix the eggs, oil, water and cake mix gently together and whisk (by hand or electric mixer) for 2-3 minutes until smooth and creamy. 3 Bake in the centre of the oven for round 23-28 minutes or until a rounded knife, inserted fully into the centre of the cake comes out clean. For cupcakes bake both trays together for 18-22 minutes**. Then cool on a wire rack. 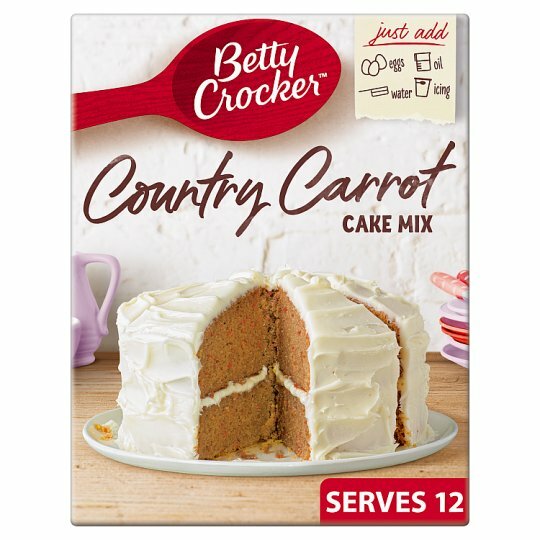 Sandwich your cakes together and cover with lashings of Betty Crocker™ Rich Cream Cheese Style Icing or Vanilla Buttercream Style Icing. Then help yourself to a delicious slice...cake heaven! Add walnuts and cinnamon to your mix before baking, then sprinkle the rest over the top for a beautiful finish!